Wayne Lewandowski is senior vice president and general manager of North American Public Sector at HyTrust. 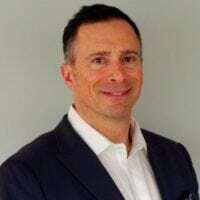 Prior to this role, he lead the U.S. federal business as vice president of sales at Vormetric, where he grew the data security business by 15 times in less than four years. During his career, he has established a virtualization consulting company in the federal space, established a win rate that landed a company on the Washington Fast 50 list in 2010, and held roles at VMware, The SAS Institute and Computer Associates, among others. Lewandowski: I recently read “All In Startup.” As someone who has spent quite a bit of my career in smaller companies, I am always interested in new ways to challenge my view of growing and adding value to my organization. There are interesting takeaways in this book around how to socialize and get adoption for disruptive ideas before soliciting for capital. Further, being open to ideas that may change direction but are supported in compelling customer/markets requirements. Next on my list is “The Coaching Habit: Say Less, Ask More & Change the Way You Lead Forever.” I am a big believer in understanding the emotional intelligence aspects of yourself, peers, clients and your team. Knowing what drives people and how to communicate is critical to driving your desired results.